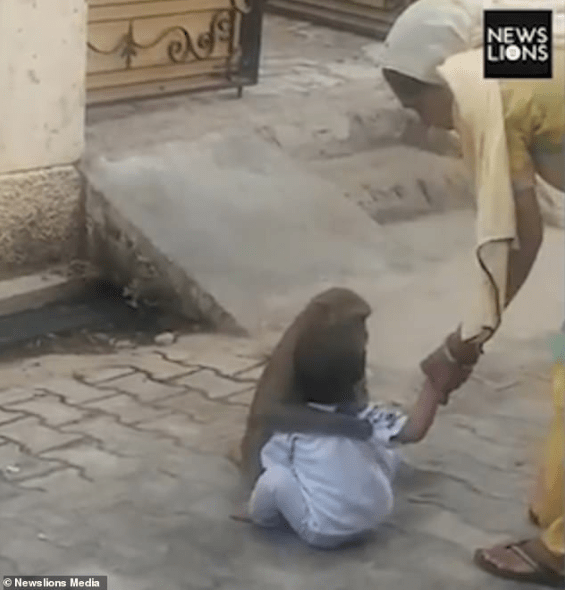 A monkey kidnapped a two-year-old boy from his home in India just so it could have someone to play with and it refused to give the boy back to his family. 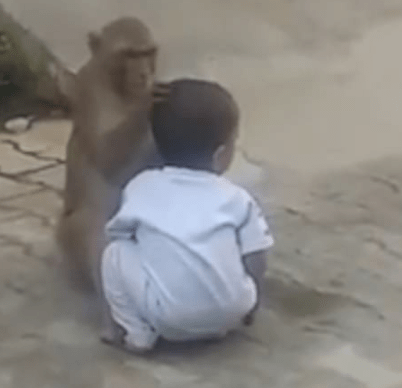 In a video shared online, the monkey is seen playing with the boy by the roadside - the monkey is seen at a point trying to remove something from the child's hair. 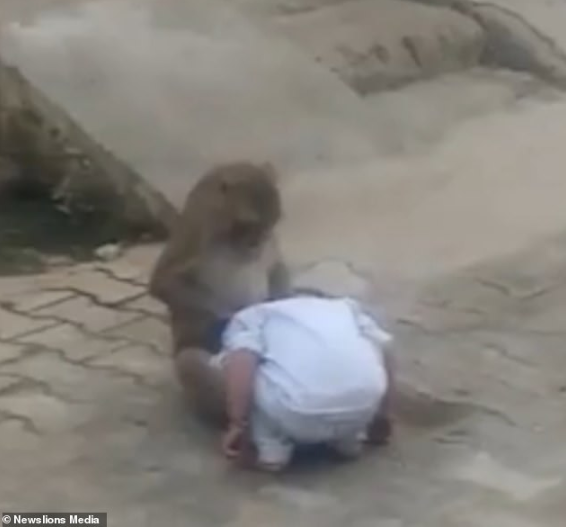 In the viral video, the woman can be heard saying: "From where did you get the baby, Let me take it home."